The Museum was established in 1872 as the erstwhile Victoria and Albert Museum, Bombay. 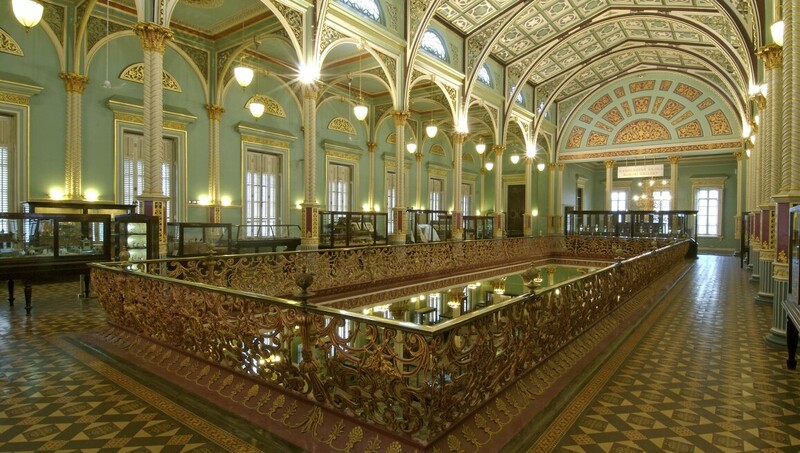 As Mumbai’s first Museum, it showcases the city’s cultural heritage and history through a rare collection of Fine and Decorative Arts that highlight Early Modern Art practices as well as the craftsmanship of various communities of the Bombay Presidency. The permanent collection includes miniature clay models, dioramas, maps, lithographs, photographs, and rare books that document the life of the people of Mumbai and the history of the city from the late eighteenth to early-twentieth centuries. The Museum has embarked on an ambitious expansion plan, supported by the Municipal Corporation of Greater Mumbai and private donors, which includes developing a new wing adjoining the Museum Plaza. The new wing is expected to be ready by 2018.